An excellent sounding digital piano—powerfully simple. Following the standard of sonic excellence established by the Forte, Forte SE and PC3 series, the SP6, powered by the new LENA processor, brings performances to new heights with its astonishing sound quality, light-weight, depth of control and simple operation. Hear the new High Definition Japanese Grand and German D Grand pianos, each optimized especially for the SP6 and featuring "KSR" - Kurzweil String Resonance. The SP6 offers all of the sample content from the Forte SE and features a wide selection of tailored sounds from the acclaimed Forte and Forte SE (EP, Clav, Celeste, Crotales, Harpsichord), as well as PC3 Series and KORE 64 expansions. Experience more simultaneous FX and tweak away with dedicated knob assignments. Featuring 32 FX units, enjoy award-winning reverbs, delays, choruses, flangers, phasers, distortions, rotary amplifiers, compressors and more. Every sound within the SP6 is perfectly matched to its 88-note fully-weighted hammer-action keyboard. Further, tailor the SP6 response to your playing style via 10 selectable key velocity maps. Maximize your real-time control over every preset via the SP6's 4 Knobs, 1 Switch, 2 Wheels, 2 Dual-Switch Pedal Inputs and 1 Continuous Control Pedal Input. 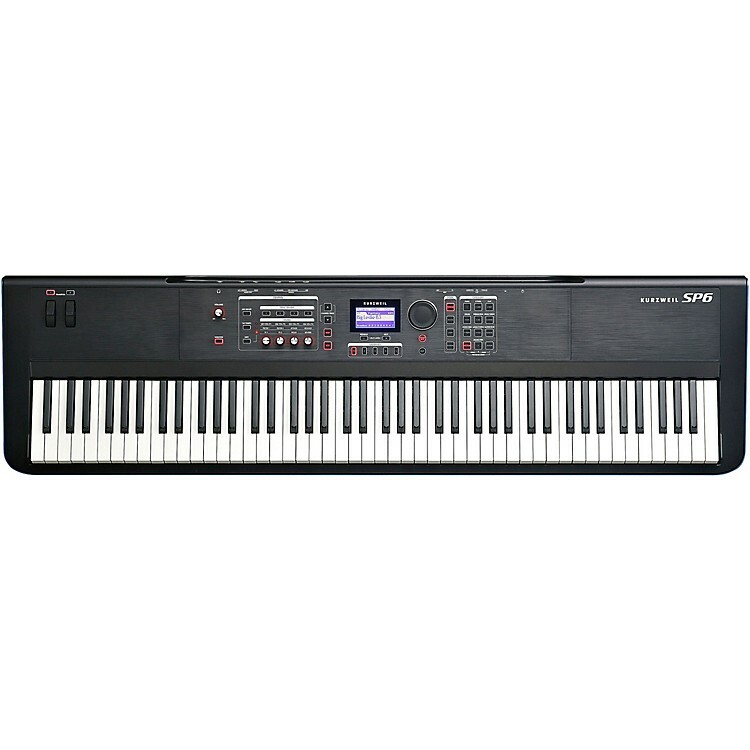 Call or click to get rich piano sounds and effects out of this professional performance piano. Other controls:	variation switch, arp switch, transpose switches, tap tempo switch.